Does Anyone Want The 2016 Games? We can't say we're all that disappointed, considering we are current residents, that New York City has abandoned its quixotic attempt to host an Olympic Games. 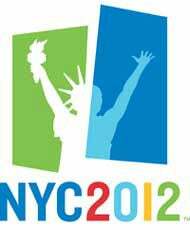 After its 2012 bid fell flat on its bagel, the city is sitting out the next round; it is not among the three U.S. cities applying for the 2016 Summer Games. So, who's going for it? • Chicago. For heaven's sake, keep Steve Bartman away from the javelin! • Los Angeles. We will be actively disappointed if Tom Cruise doesn't end up lighting the Olympic flame. This city could never work, though; we'd end up accusing half the athletes of illegally immigrating. • San Francisco. Hey, we know they don't care about the doping. With the finalists announced, the United States Olympic Committee eliminated Houston and Philadelphia. That is a damned shame. We cannot tell you how happy we would have been to see Philadelphia hosting an Olympics. The possibilities are endless.